‘Two Wheeled Holidays ~ Pedals that power your holiday’. 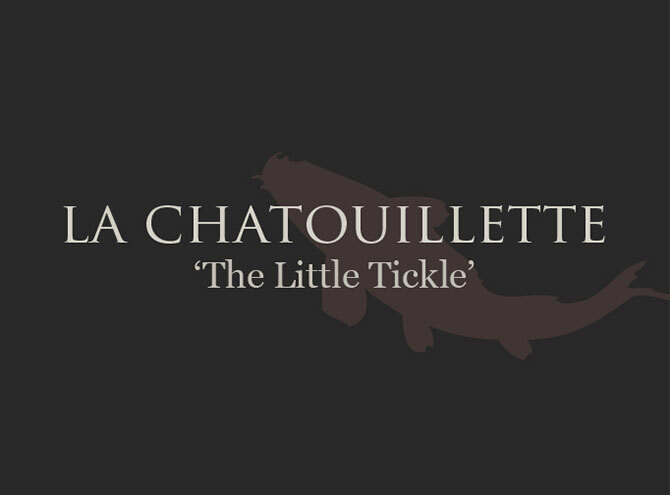 La Chatouillette is nestled in the rural forests of The Regional Natural Park. The holiday Gite and lake boarders the three departments of Normandy The Manche, Orne and Calvados. Our central location allows exceptional opportunities for cyclists and walkers to explore the Greenway routes. It is the perfect location for cyclists looking for a fixed base with self-catering accommodation. A home from home the large two bedroom Gite sleeps four people. 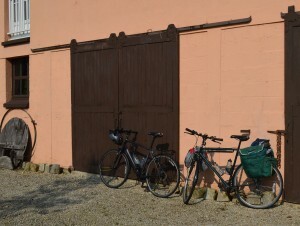 We provide comfortable accommodation furnished to cater for short or long break stays.There is secure storage for your bikes and workshop space. After an exciting days cycling La Chatouillette offers a warm welcome home to holiday makers. Relax in privacy by the lakeside surrounded by gardens and forest. The peaceful location will allow the memories of your day to settle happily in your mind. Perhaps a quiet walk along our river or through our woodland might ‘tickle your fancy?’. Eat alfresco at your own BBQ or enjoy table tennis or poole in the games room. La Chatouillette is not just a place to sleep! Traditional French cuisine can be sampled in many local restaurants and café’s within three nearby villages – St.Georges de Rouelley, Ger and Barenton. There are supermarkets, bakeries, pharmacies and Tabac/Bars within these villages. The evergreen countryside, forests, maize fields, orchards and rivers all make this area one of outstanding beauty. It’s timeless location is perfect for cyclists and walkers. There are many quiet roads and dedicated greenway routes and lanes to explore. Sights and sounds of local wildlife abound. Cuckoos, woodpeckers, kingfishers and swallows dipping on the lake, wild boar and deer all share this unique natural area. La Chatouillette is close to the GR22. 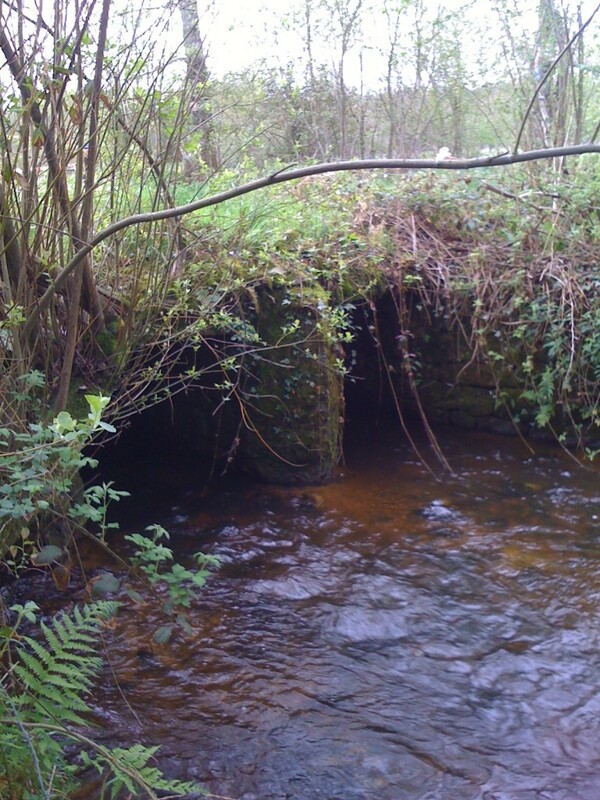 and a Roman Bridge, one of the oldest in Normandy this marks the area where the French resistance gathered before walking to Paris along the ancient pilgrim route on their way to Mont Saint Michel. 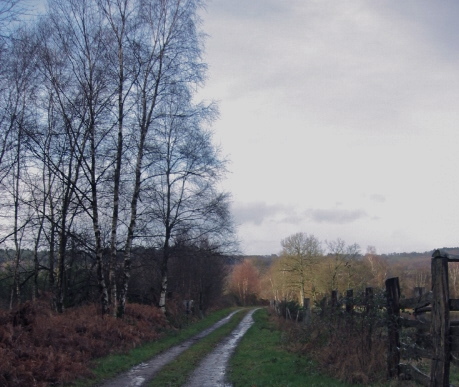 The path is now accessible to hikers, cyclists and horse-riders. La Véloscénie offers a 440 km Greenway route from Paris to Mont St Michel. Long stretches of the route are converted railway tracks and disused quiet roads. The route passes close by La Chatouillette passing through Barenton, Mortain, Saint Hilaire-du-Harcoué, Sourdeval, Domfront and Ducey. There are many historical and beautiful places to stop along the way to enjoy a lunch or a picnic. We have appropriate maps available for you to browse. 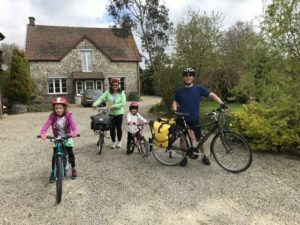 The Manche Tourism website has further information on cycling and walking in this area including shorter bike routes averaging 20km. There are also routes suited to one day bike rides. Local maps and brochures can be ordered, downloaded and purchased on the site. There are also interactive maps of cycling circuits enabling you to plan your tour itinerary. Tourist offices are located in Mortain, Soudeval, Saint-Hilaire-du-Harcouet and Ducey. These are bike friendly and have bike parking, repair kits and toilet facilities. 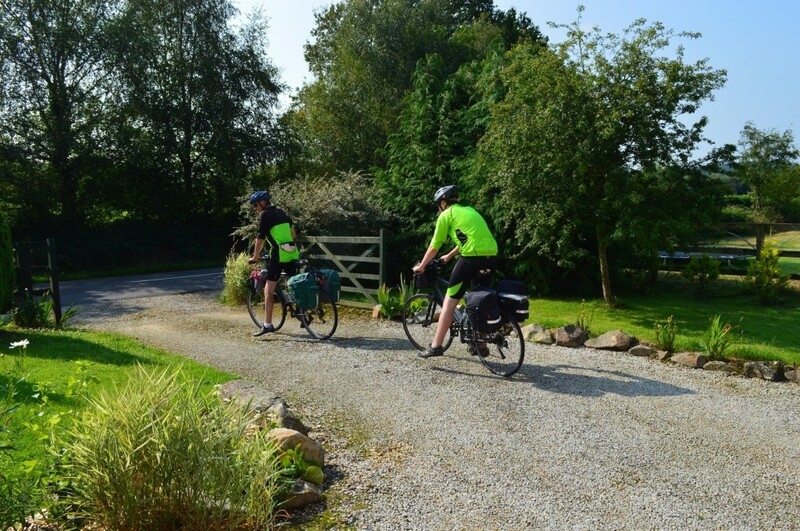 Some offer expert advice of cycle routes in the surrounding areas. Just down the road from La Chatouillette the Fosse Arthur attracts many walkers and cyclists. From the height of the gorge the viewpoint allows a panoramic view of Normandy. If you fancy experimenting with something different perhaps a pedal trolley may excite you? The 11km bikerail travels from Vire to Saint-lo. It’s an adventure for all the family to enjoy. The safe cycle track runs along an old railway line.